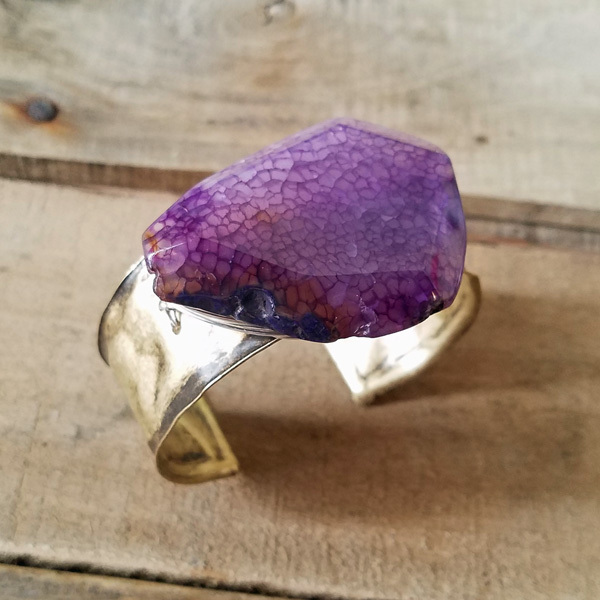 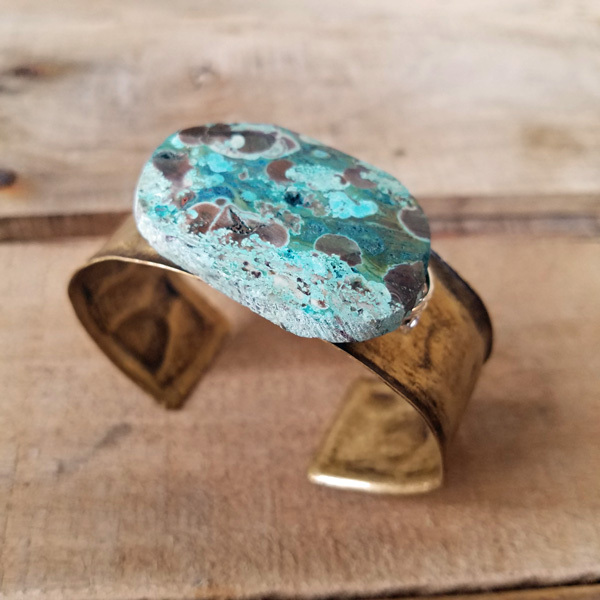 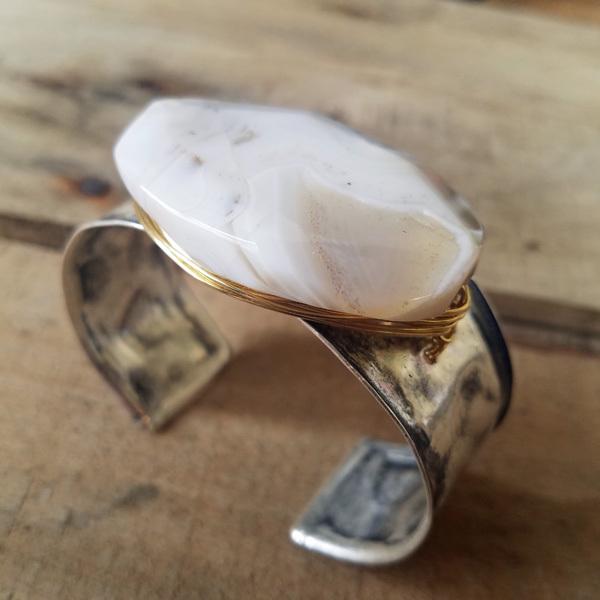 Our Wrapped Gem Cuff Bracelets are hand crafted using a mix of brass and silver filled metals. 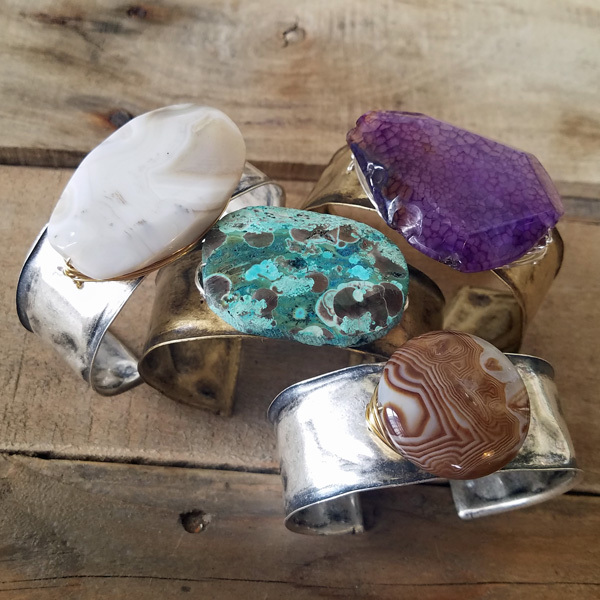 Available gemstones in White Agate, Amethyst, White & Brown Banded Agate and Chrysocolla . 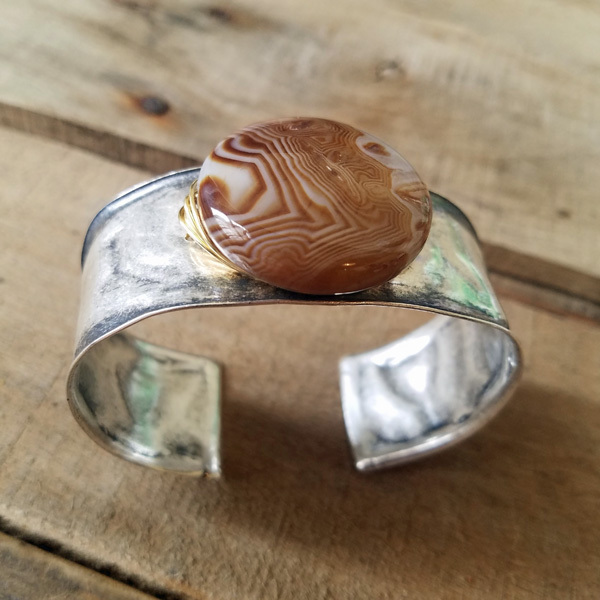 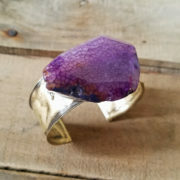 Option for brass or silver cuff.